I am cautiously optimistic that spring has finally arrived to the west coast! My sister is even more optimistic. This weekend she actually started planting seeds (indoors, mind you) for her vegetable garden. Well! 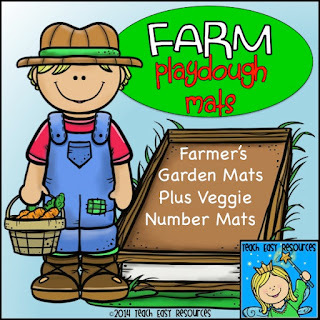 If that's the case and spring is on everyone's mind, I think it's a good time to feature my Farm Playdough Mat Set! 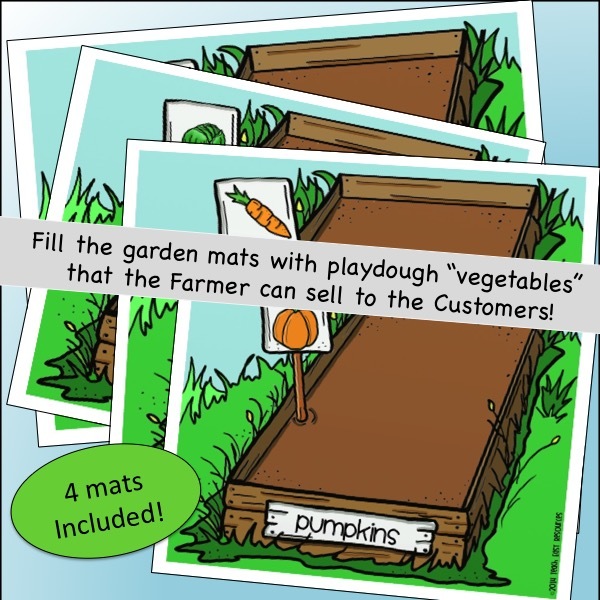 It includes 2 customers and a farmer, 4 garden bed mats (lettuce, pumpkins, carrots, blank), and a wheelbarrow and wagon. 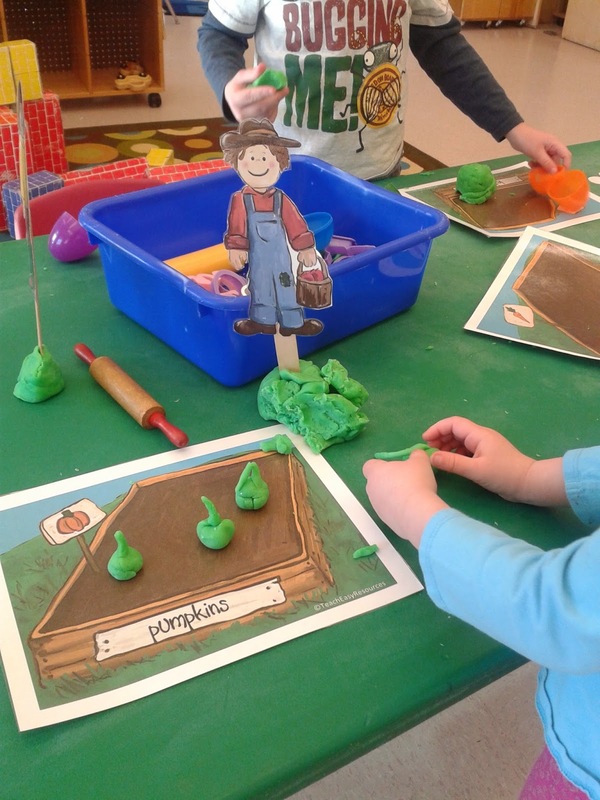 The children create vegetables out of playdough to place in the different garden beds. 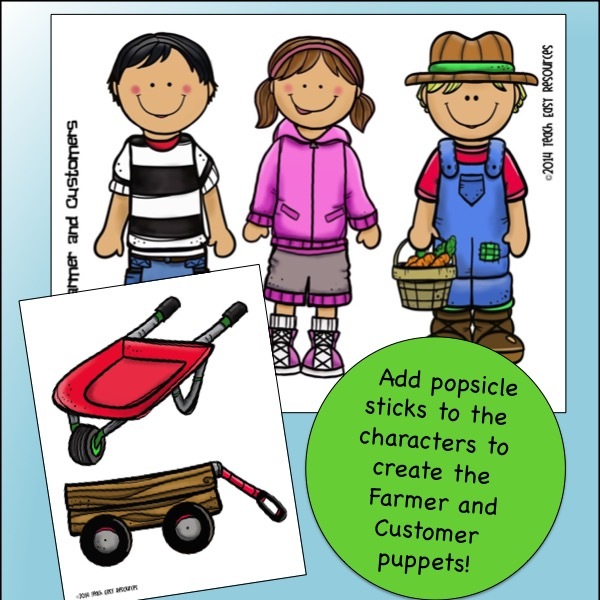 The customer puppets can choose what they would like to purchase and place them in the wagon or wheelbarrow and then slide them across the table to take them home. Just add a popsicle stick to the back of the farmer and 2 customers so that they are easy to hold. 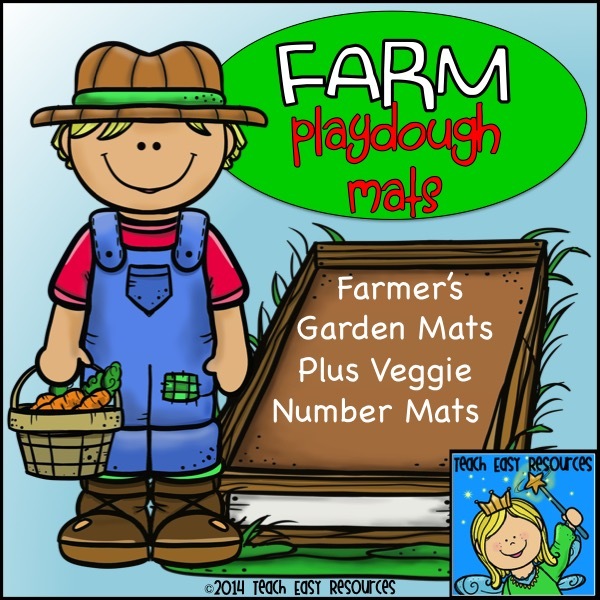 This Farm Playdough set also includes 10 number mats. 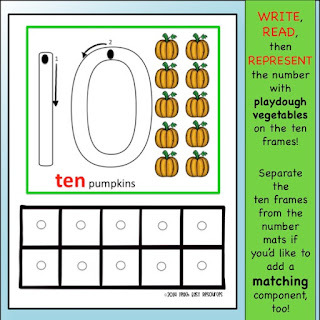 Your class can write the number on the mat with a washable marker, then represent it on the the ten frame by by adding playdough "vegetables." 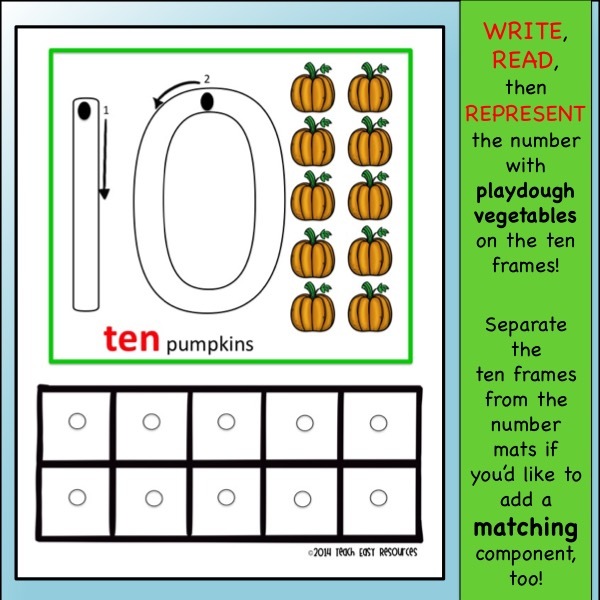 This set is available for in my Teachers Pay Teachers store for $2.95. Just click HERE or on the image below to pick up your copy!